Each Meritage Collection resort is one-of-a-kind, and so is the artwork you’ll find carefully tailored to each location. The Meritage Collection’s newest resort, Paséa Hotel & Spa in Huntington Beach, California, is highly ingrained in the surf culture of the area and features a World Surf League photography display in the welcome corridor and a relatable curated art collection from local artists, such as Jorg Dubin, thoughtfully placed throughout the resort. As part of a corridor renovation project, Estancia La Jolla Hotel & Spa in La Jolla, California, brought in the artwork of California contemporary impressionist artist Erin Hanson. Hanson has a passion for natural beauty, and the renovated hallways will depict her oil paintings that show nearby Torrey Pines. Meritage properties also work tirelessly to find the best artistic touches, like Ko’a Kea Hotel & Resort on the island of Kauai, which worked with Daniel Fine Arts Services in Laguna Beach, California, to find the perfect pieces of art. 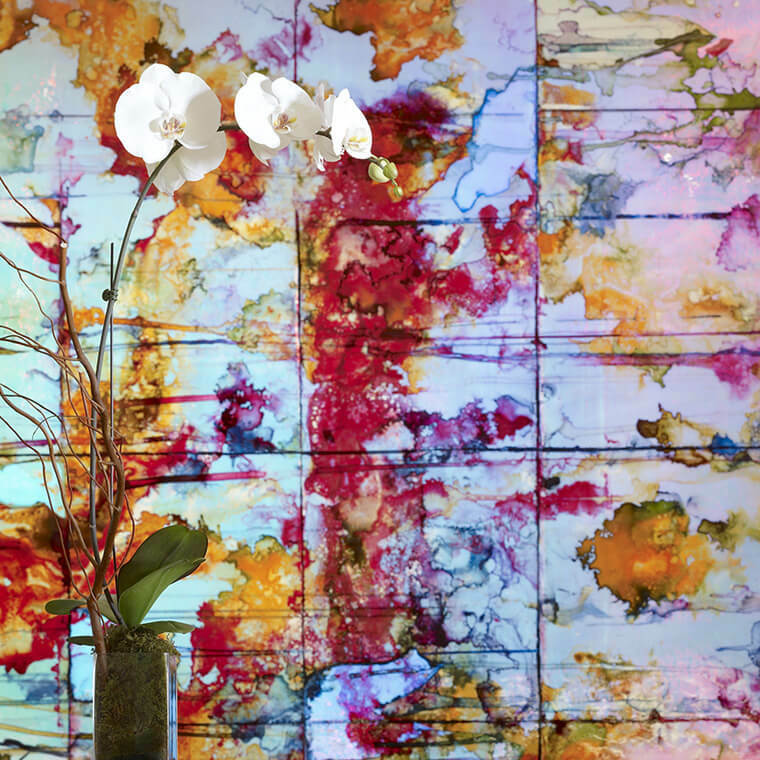 Guests often comment on the colorful lobby original work, “After Molly,” by Peter Hopkins, as well as the sea-inspired works featured in the standard king rooms, which reflect the hotel’s surroundings. Whichever Meritage Collection property you visit, you’re bound to find artwork hand selected for each unique location. Next time you walk through the lobby or into the dining room of your favorite restaurant, we invite you to take a second look at what’s hanging on the walls.